As we rapidly approach the 28th edition of the Arnold Schwarzenegger Classic, it’s interesting to ponder the million-dollar question: Who was the best Arnold Classic winner? Comparing champion bodybuilders from different generations always brings an onslaught of heated opinions and passionate debates, especially when it involves a contest history as rich as that of the Arnold, but it’s a question that deserves to be considered. Since the first Arnold Classic, in 1989, the contest has seen its share of very impressive winners. Jay Cutler looked like a Marvel Comics superhero in 2003, when he won the title after sitting out the Mr. Olympia the year before. Ronnie Coleman arguably achieved his best ever condition when he surprised everyone by entering and dominating the 2001 Arnold Classic, and Kai Greene’s shredded physique from his 2009 win is still talked about as the best version of his physique that has graced the stage to date. Even so, all these great champions, as they appeared in their Arnold Classic victories, take a backseat to the Best Ever Arnold Classic Champion: Flex Wheeler, 1993!!! The ’93 Arnold Classic was only the fifth edition of the event. 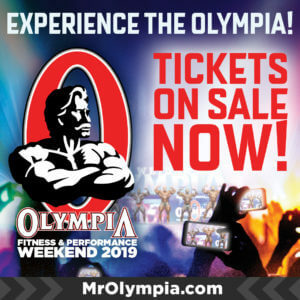 The lineup included such bodybuilding luminaries as Lee Labrada, runner-up at the Mr. Olympia in 1989 and ’90 as well as the winner of many pro bodybuilding titles; Samir Bannout, the ’83 Mr. Olympia; Vince Taylor, the ’92 Arnold Classic champ; and Mike Ashley, the ’90 Arnold Classic winner. In the end, however, the contest was a wakeup call for those legends. A new group of “freaks” had arrived on the scene and were about to shake up the status quo in a big way. Taylor, who had won the Arnold a year earlier, had to gracefully step aside as that new breed of bodybuilder emerged. Poor Mike Ashley, who had won the contest only three short years before, was relegated to 13th place and looked shell-shocked as he stood in the lineup watching the “freaks” take over the show. This new group of young, unimaginably freaky bodybuilders included Kevin Levrone, winner of the ’91 NPC Nationals; Paul Dillett, the ’92 IFBB North American champ; and Wheeler, the ’92 NPC USA champ. In just two years, the talent pool in the IFBB professional ranks had taken a serious jump forward. Flex was one of the most exciting bodybuilders to hit the pros in some time. 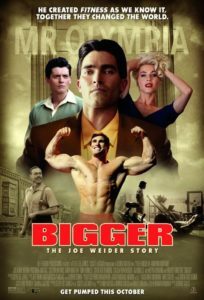 He had been at the very top of the NPC national-level scene for a few years and had always presented a physique that showed incredible promise. Massive, aesthetic, symmetrical and ripped, Flex displayed the perfect combination of size and shape. Flex took two disappointing losses in 1991, when he placed second to Mike Matarazzo at the USA Championships and then suffered another close defeat to Levrone at the Nationals. In both events, Flex was in superb shape but was defeated by a promising young mass monster. The loss created in him a hunger to get back to the gym and train harder than ever. Knowing he couldn’t take anything for granted, Flex stepped up his game, wanting to leave nothing to chance the next time he was onstage. At the ’92 NPC USA Championships, even the most jaded critics in the sport were shocked at Flex’s physique. Much bigger than the previous year, he was in rock-hard condition, with amazing shape and symmetry. He easily steamrollered over a tough lineup in the heavyweight class before doing likewise to take the overall title. Bodybuilding expert Don “The Ripper” Ross, doing the commentary for ESPN, was beside himself, his face turning red, as he effused about Flex’s magnificent physique. Here was an amateur bodybuilder who looked much better than most of the pros competing at the time. Many felt that if Flex stepped on the Mr. Olympia stage looking the way he did at the USA, he would have a great chance of winning. When Flex finally did make his pro debut more than six months later, he was just as dominant a force as he had been at the USA. Competing in the ’93 IFBB Ironman Pro as a prelude to the Arnold, he scored a commanding victory over a fantastic Labrada, a peak-condition Taylor and the new genetic freak, Dillett, who redefined how big and massive a physique could be. One week later, Flex entered the celebrated Arnold Classic and again shocked the bodybuilding world with his incredible perfect physique. As the television cameras captured his posing routine, Flex glided expertly through his transitions to showcase a body that looked magnificent from every angle. Even his great rivals Shawn Ray and Levrone had to admire the physical perfection that he presented onstage. Decades later, the physique presented by Flex Wheeler at the 1993 Arnold Classic is still regarded as one of the best ever to grace a bodybuilding stage. Although Flex went on to win three more Arnold Classic trophies and become the runner-up at the Mr. Olympia three times, his physical perfection at that contest in Columbus 23 years ago remains an unforgettable moment in bodybuilding history. Related Story: Digital Muscle Set to Webcast the 2016 Arnold Classic!